“So long as you have food in your mouth, you have solved all questions for the time being” . “Turkish food is not about experimentation but about technique”. It is about enjoying the essential ingredient. You can have fresh fish cooked in a bit of olive oil and served with lemon, a salad with a little bit of olive oil, Fresh cheese and a bit of honey or lamb cooked with spices in its own juice. 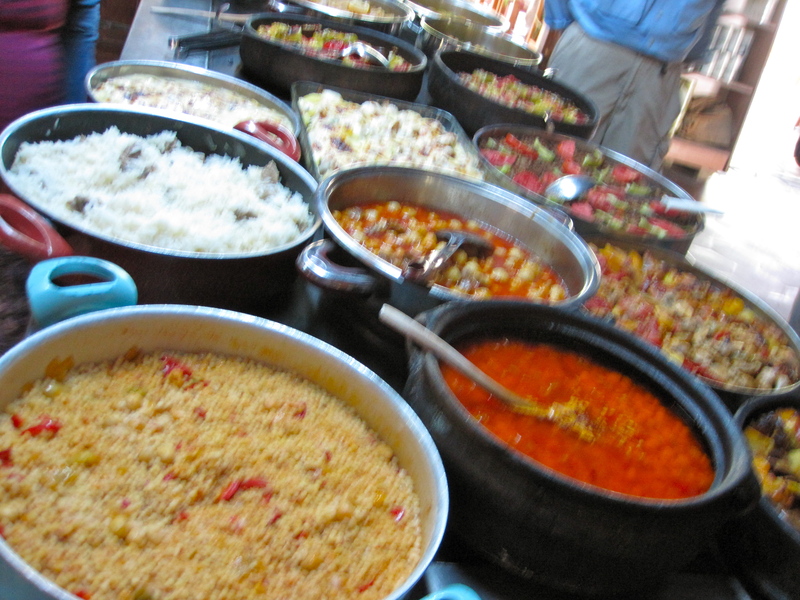 Turkey is known best for meze. 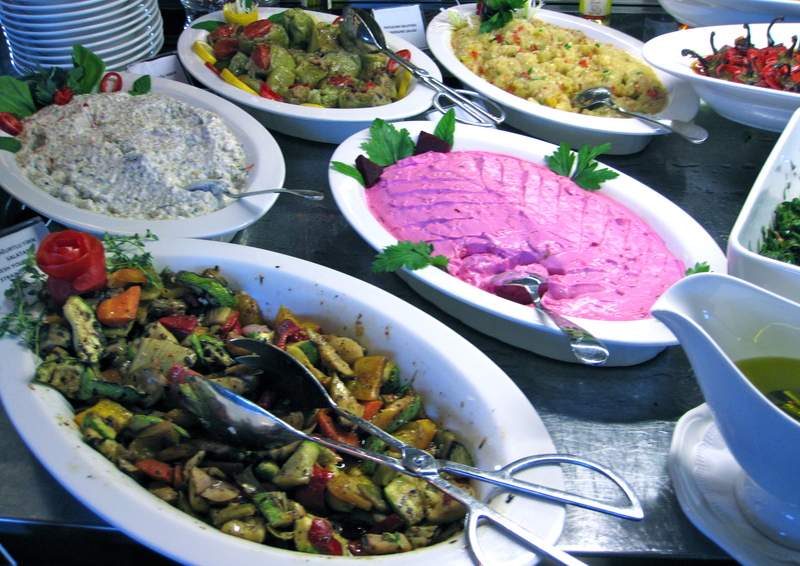 Meze are small dishes that start the meal. 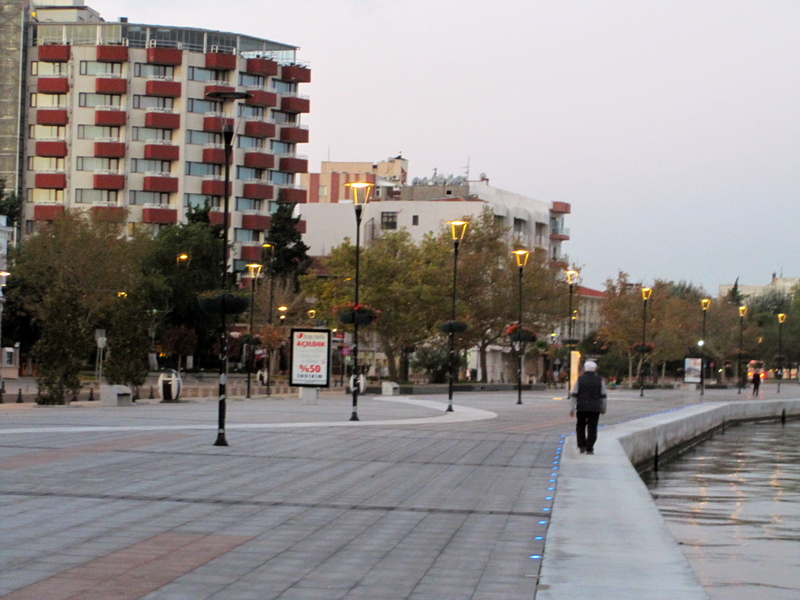 The meze are based on the seasons and the locale. There is usually some white cheese ( beyaz peynir -similar to feta but not as strong) served with fruit or vegetables or just some honey; yogurt dishes –like dips (cacik or heydari) or with vegetables (esme), meat dishes like kofte (meatballs), salads and vegetable dishes. 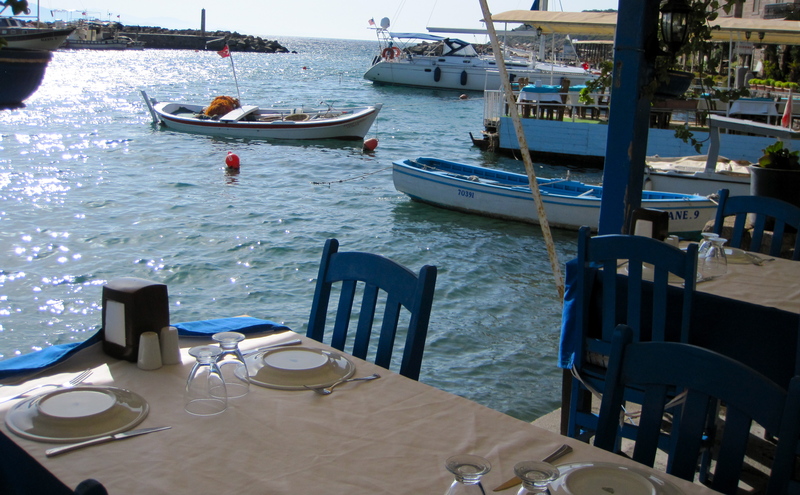 Near the sea there will be small fish dishes – sardines, fried calamari, stuffed mussels, octopus and shrimp. 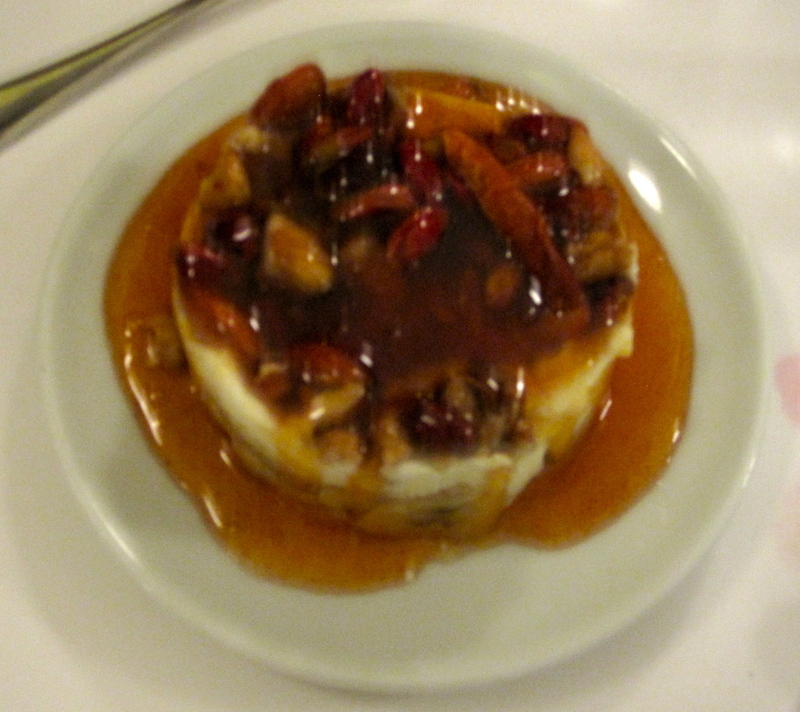 Desserts are dough based or puddings with fruit or dried fruits and honey and nuts. It was hard to make this restaurant list because all the food was amazing, very fresh and flavorful. ORIENT, CAPPADOCIA. Orient restaurant is located at the beginning of Goreme, a beautiful village in Cappadocia. We had a salad of fresh organic herbs and vegetables. Sealed clay pots were brought out and broken open. 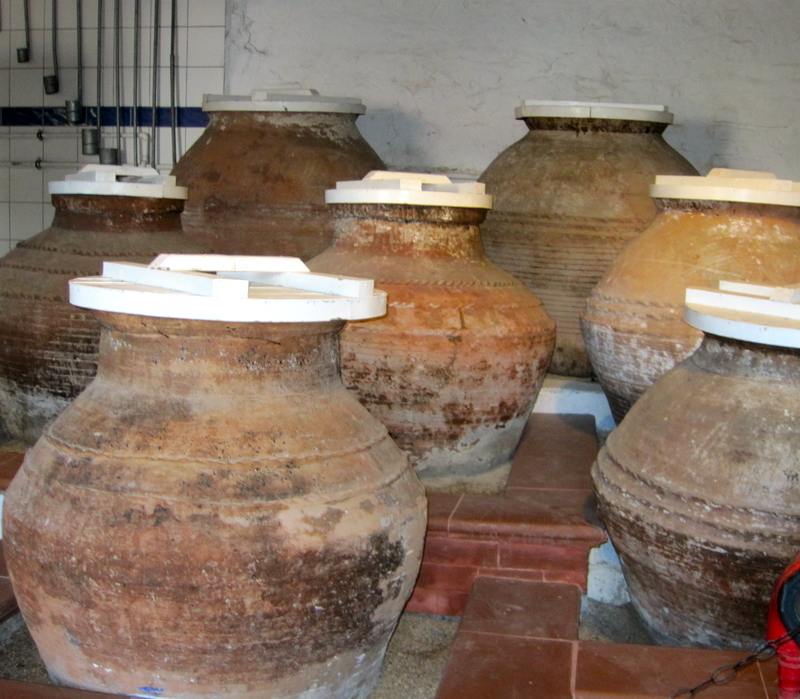 Inside was steaming tender lamb cooked in these clay pots with onion garlic and spices . 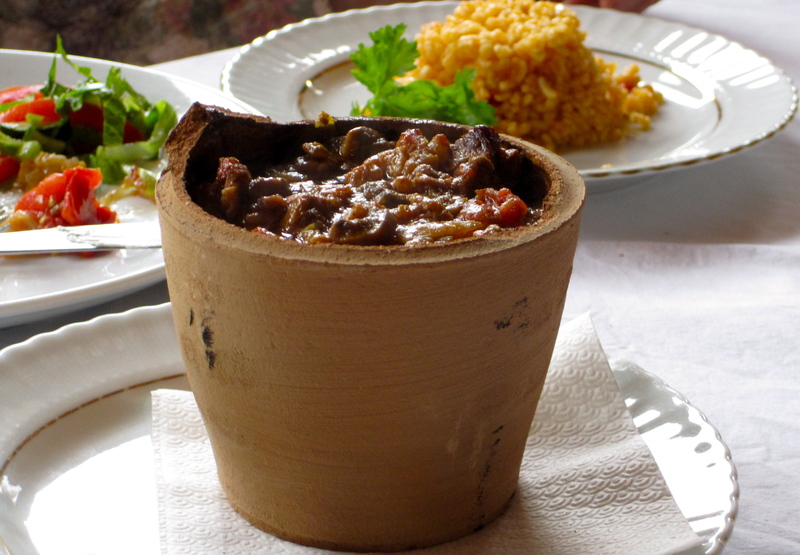 This was a version of the typical peasant dishes cooked in those underground cities in Cappadocia. It was served over rice pilaf and incredibly delicious. For dessert, we had baklava. Not the sticky overly sweet version we have here, but light and wonderful. 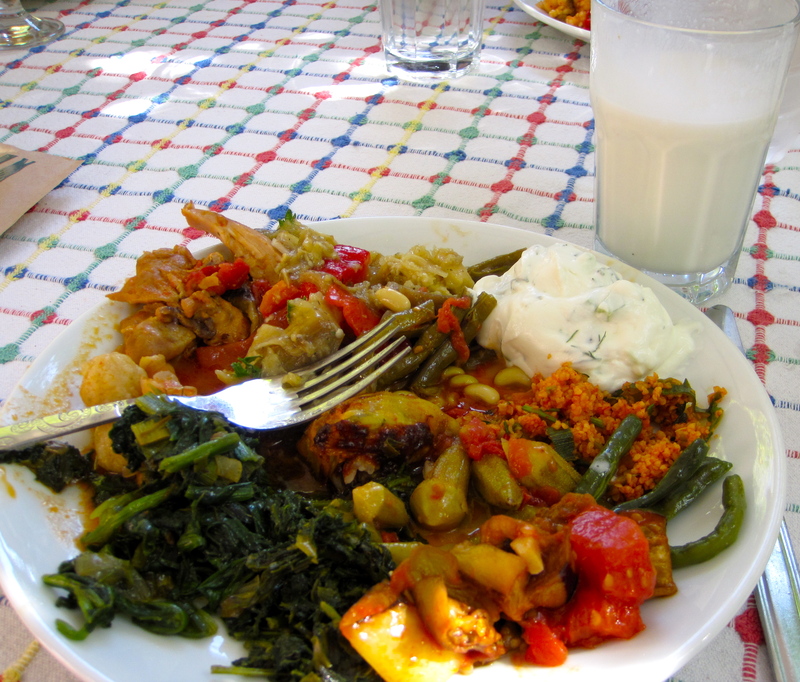 BIZEM EV, SELCUK-IZMIR Bizem Ev is a traditional Turkish restaurant with an organic garden. 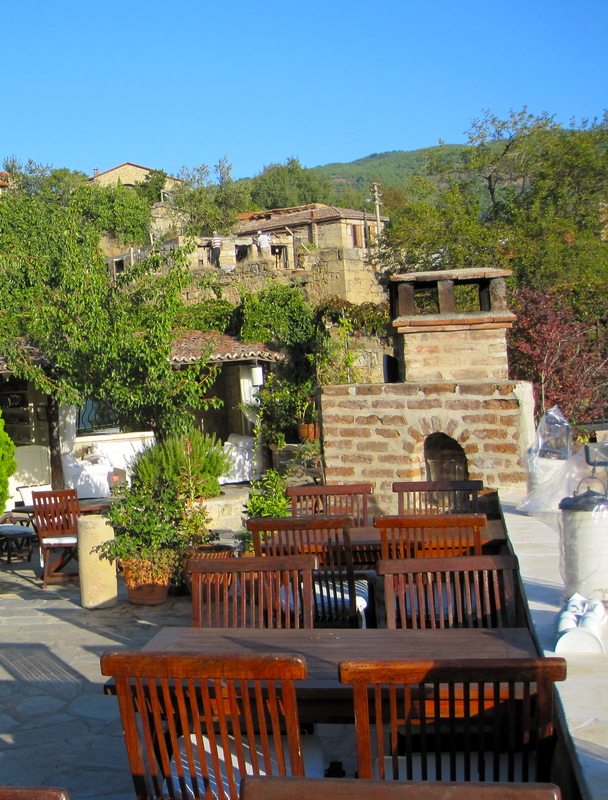 It is not too far from Ephesus and has a pretty outside area in the garden. Bizem Ev means “Our House.” I drank my first Ayram here. 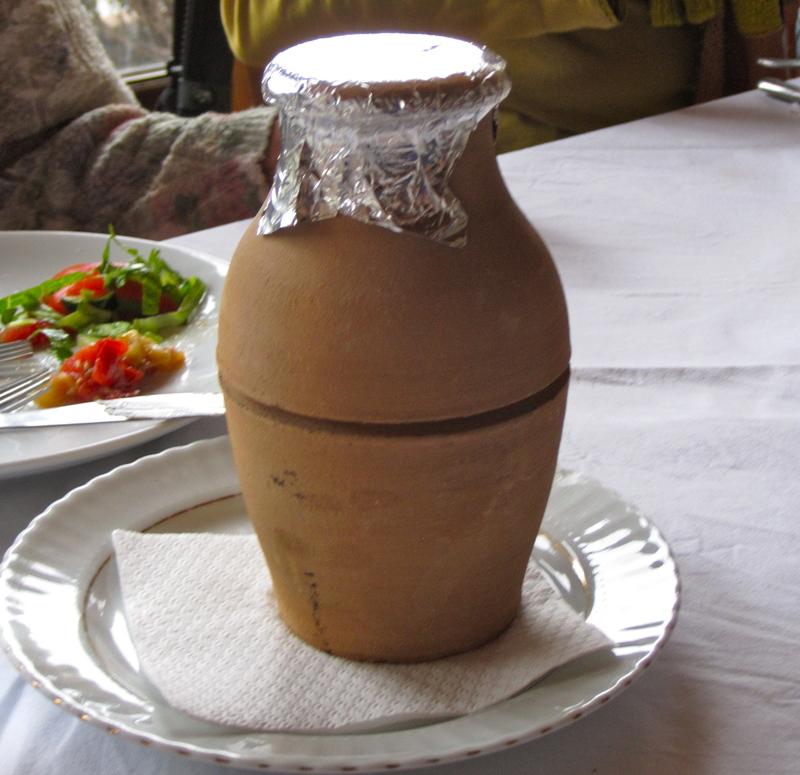 Ayram is a yogurt drink that people drink all over Turkey. It is made with ice salt and yogurt and is very refreshing and delicious. (like buttermilk which I happen to like.) This is a family run business and the mother cooks everything every day. 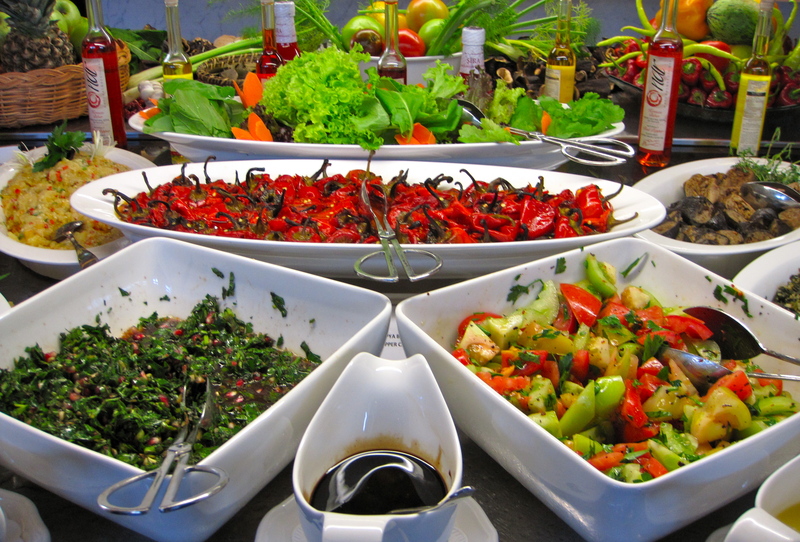 It is a huge buffet of fresh vegetable dishes from their garden as well as many Turkish specialties. Anytime the mother is cooking you know it is going to be great. You can also buy her cookbook and she will sign it for you. 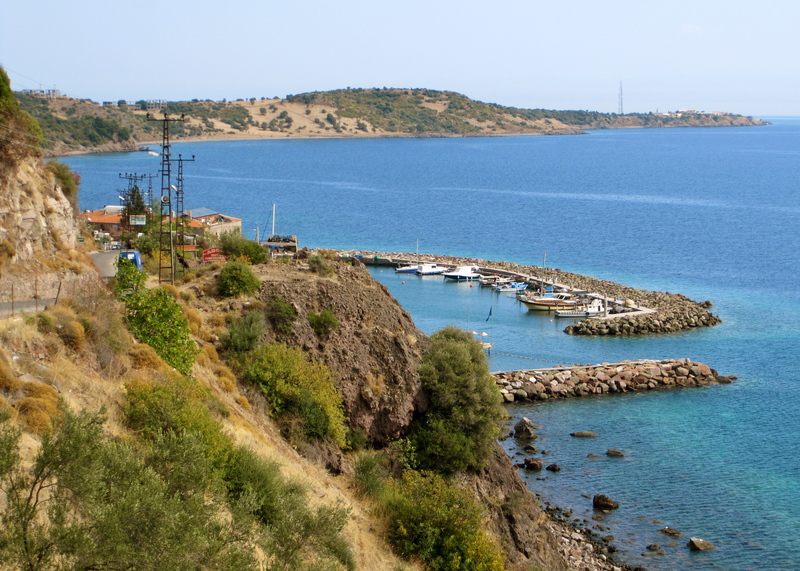 UZUN EV, ASSOS – BEHRAMKALE. Uzun Ev is located in the small fishing harbor of Assos Behramkale , -a village near the ruins of Assos. The village is on the side of a cliff and you have to go down a very narrow steep road and walk part of the way to get to the restaurant on the sea. It was a beautiful day for a nice walk. The interior of the restaurant was very pretty but we sat right on the water. 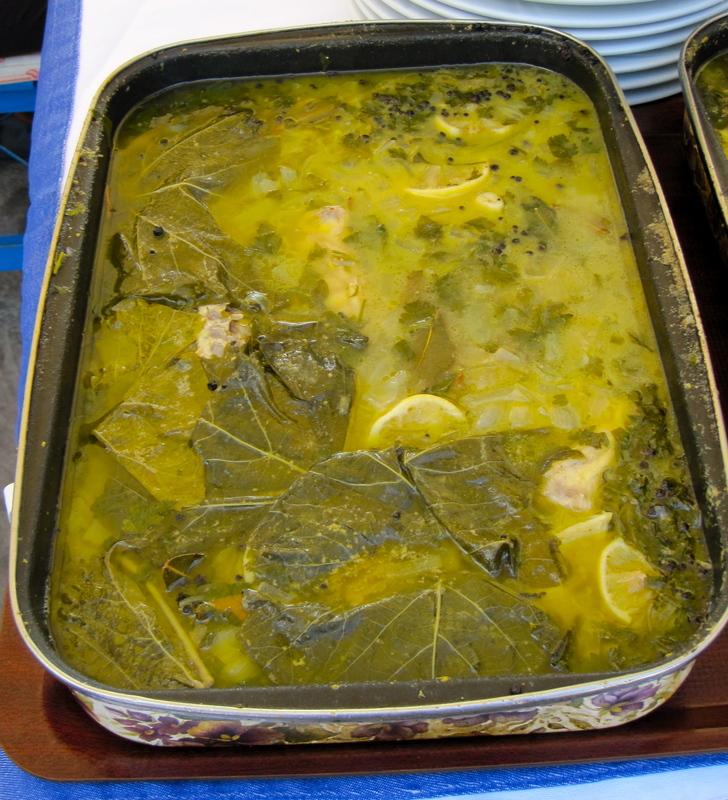 We had a delicious lunch of fish stew with cooked greens sitting at a table on the Aegean Sea. MEZE, ISTANBUL Meze is a contemporary Turkish restaurant located across the street from the Pera Palace Hotel. It is cozy and cool inside. We were there during the Bayram and so I ate lamb in honor of the holiday. 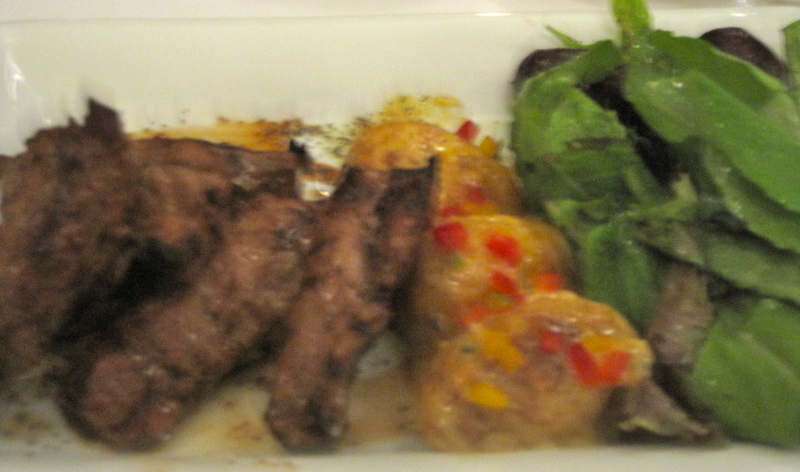 It was really tasty (from a not meat-eater) – I don’t really like lamb except in Turkey. 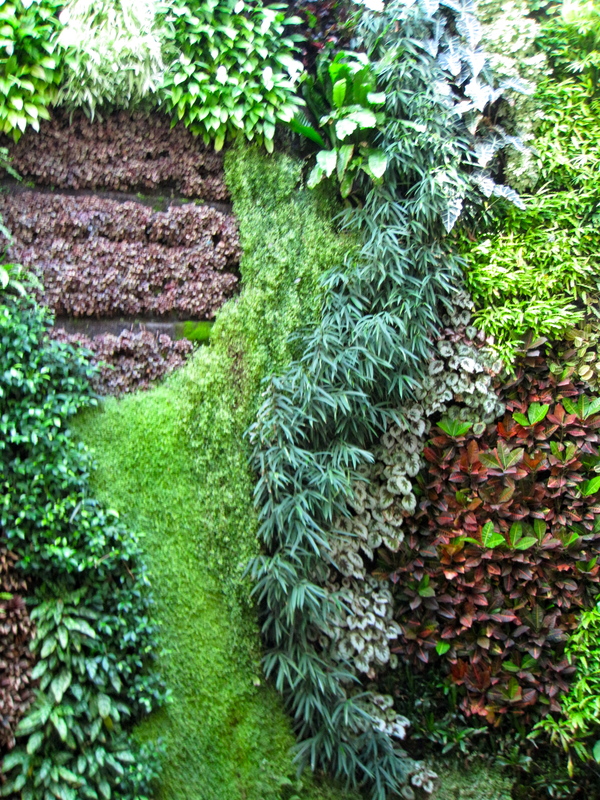 ( They say it is because they slaughter the lamb young and their diet is wildflowers.) Meze serves the traditional Turkish starters with a more sophisticated twist. Their mashed fava beans, stuffed grape leaves, and eggplant salad is slightly different and really good. Their dessert with banana, cream , honey and pistachios shouldn’t be missed. 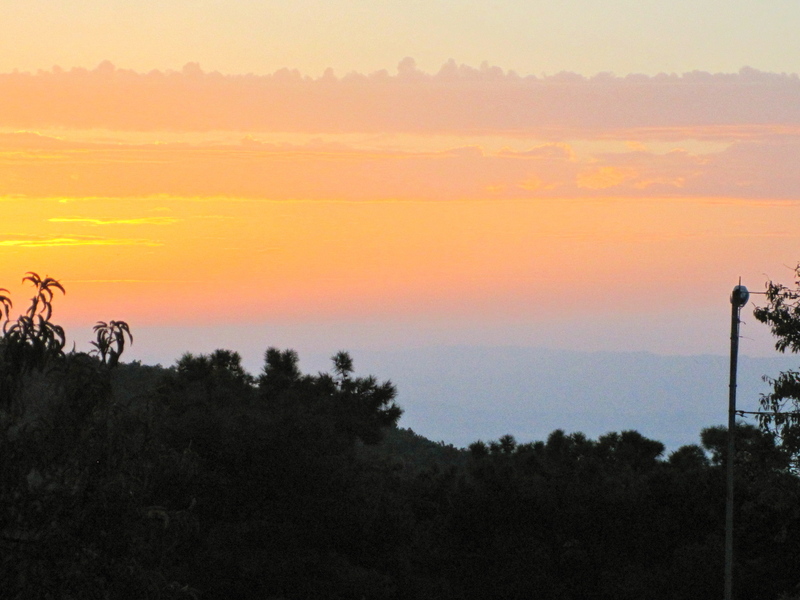 SAGLAM, BERGAMA and ZERDALI, AVANOS . Saglam is near the ruins of Pergamon and the Asciepion ( ancient Greek Medical complex) Zerdali is in Cappadocia. We covered a lot of ground on this trip and had two lunches at restaurants attached to gas stations and one in the airport in Ankara. They were all good. I remember hearing the real estate was high and it was easier to have a large restaurant attached to a gas station. One family owned the gas station, the other did not. 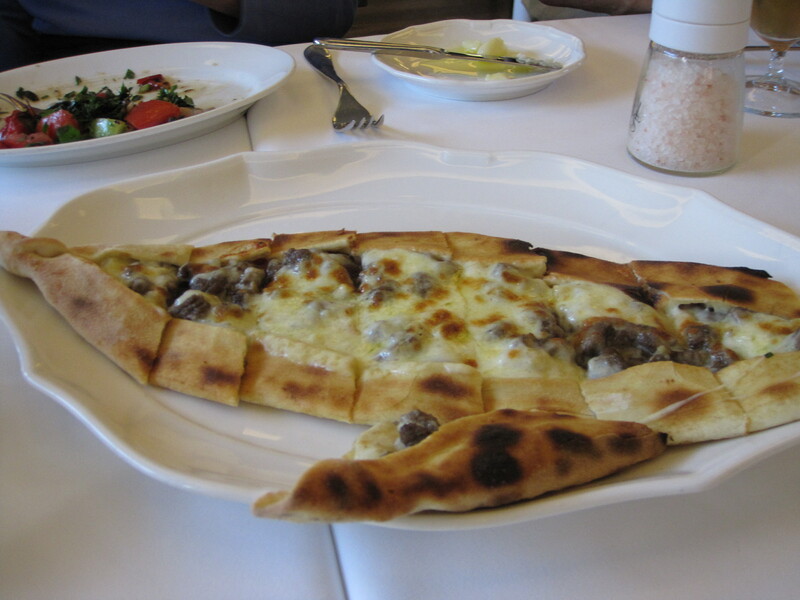 The pide was excellent. At Saglam we also had kabob which was good (I was full from all the meze and the pide before the kabob. I didn’t have dinner that night. At Zerdali I had really delicious lentil soup with the pide. I had a lot of lentil soup in Turkey. It is usually made with red lentils . It was always delicious but the one at Zerdali was particularly good. I could continue listing restaurants . 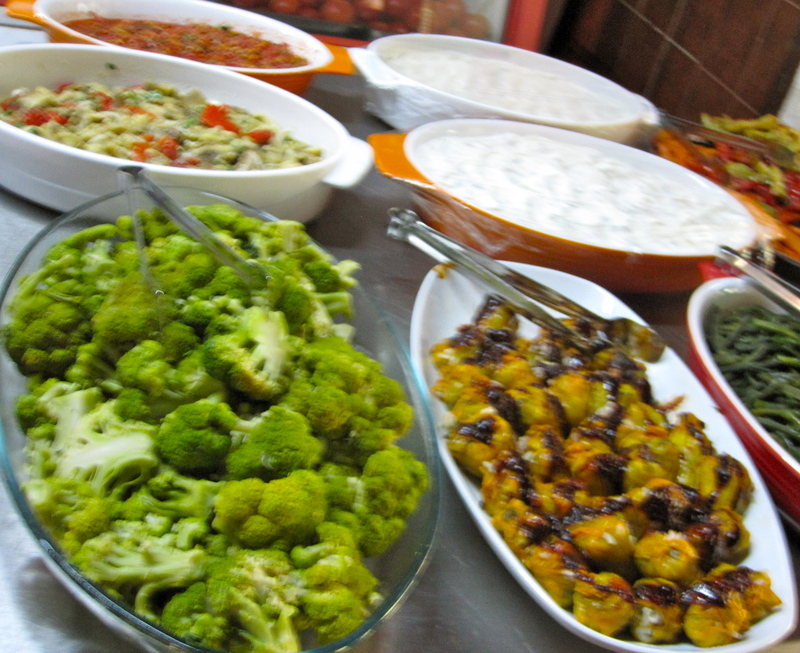 But when you go to Turkey and try any of these places, you will have a great meal. I will miss this food.